Fang and Iggy 日本漫画. Fang and Iggy on the cover of Yen Magazine.. Wallpaper and background images in the Maximum Ride club tagged: fang iggy. Fang and Iggy on the cover of Yen Magazine. 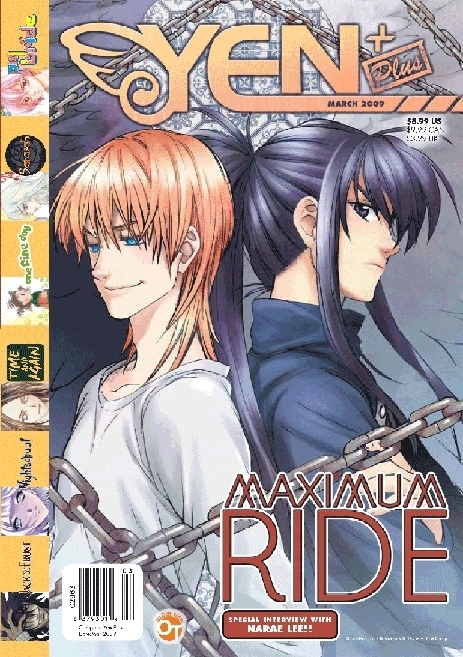 This Maximum Ride photo contains 动漫, 漫画书, 漫画, 卡通, and 漫画卡通. That Iggy is repulsive! EWW! UGH!! They both look GROSS!! THAT IS GROSS BUT VEARY FUNNY!!!! THIS HAS NOTHING TO DO WITH ANYTHING! But damn, Fang looks like Kanda, which kinda makes me happy that he got his hair cut. Even though the whole 'looking like Kanda' thing was the only reason I read this manga. And BAHAHA, Iggy's nose! His nose! It makes him look like a creepy elf!